A Milton local for over 30 years, Irene is dedicated to helping people achieve their Real Estate dreams in the area. Always going out of her way to do more, Irene is a genuine and honest person who loves meeting new people and helping them move on to the next chapter in their lives. She puts her clients at ease and makes them feel comfortable during what can be a daunting process with her approachable, committed and down-to-earth manner. Before entering Real Estate in 2010, Irene owned her own business for eight years and prior to that she enjoyed a career as a nurse. She brings a wealth of life experience to her real estate career and has gained extensive property and local knowledge in her years of delivering for clients. 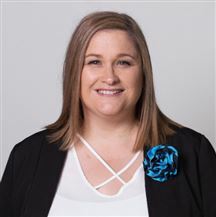 With the support and world-leading systems at Harcourts, Irene is able to offer her clients high-profile marketing, industry insight and a strong network of consultants all focused on achieving the best possible result. Irene grew up in the Catlins and loves this part of the world. She’s married to Craig and has four children, all raised and schooled in Milton. Irene is a dedicated open person who always goes the extra mile — call her today to discuss your Real Estate needs. Known for her larger-than-life personality, Mel has the drive and never-say-die attitude needed in real estate! Passionate about connecting with her clients, you’ll find it’s easy to build a comfortable rapport with Mel. Her down-to-earth manner immediately puts you at ease and, working all hours of the day, you can relax in the knowledge that she’s got everything under control. Mel has substantial property knowledge and wide-ranging experience in buying and selling real estate and these attributes have seen her become an award-winning agent for Harcourts New Zealand. A South Otago girl through and through, you’ll find Mel cheering on her local rugby team or indulging her passion for nice cars, old and new, in her spare time. Honest and real, Mel genuinely cares about the results she achieves for her clients and she only thinks about their best interests. By building great relationships with people, Mel’s become one of the most well regarded real estate professionals in the region. The difference between good and great is a little extra effort. Top Spot Offers A Lot..
Down size & down tools! Catch Me If Your Quick!!! Top spot offers a lot. Cash Cow!! As Is - Where Is..
Say Yes To This Address!!! Let the Fun Begin !! This Little Light of Mine!! Meet Me At Moir St!!! Rare As Hen's Teeth In Kai!!! No Time like The Present!!! You Never Forget Your First!!! Have you got Retro Vision?? Good to go on Gormack..
Come's with Tenants in Place.. The Views here are free!! First Home - Great Section!! Rural Views - a neat treat! Quality - Class and Chic!!! A Stirling House - indeed!!! I want you to want me!!!! Ready to Downsize or Invest? A Real Cracker Here !!! Owners want this one gone !! All Ya need is Love !! !